In 2014, the roofs adjacent to the radius gymnasium wall were replaced at, as was the roof of the gymnasium. 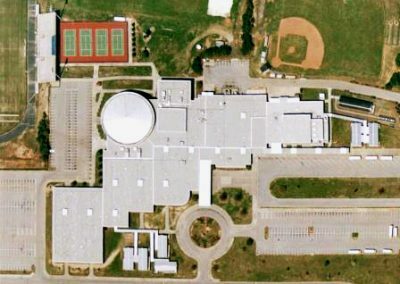 School personnel reported that the walls did not leak prior to this project, but a history of leaks have been reported at the radius wall since completion of the roofing. Currently, the walls only leak during windblown rains. 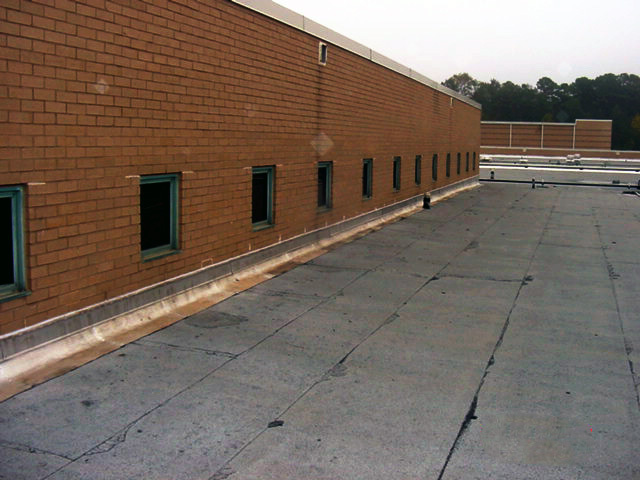 Raymond Engineering was retained by Fulton County Schools and performed a water test in which water was applied above the scuppers in the wall which resulted in leaks. 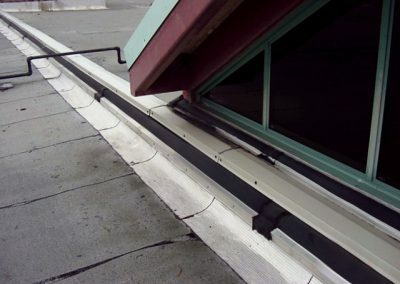 The scupper openings were allowing water into the cavity. The scuppers have since been sealed to the wall; however, the leaks are continuing to occur. 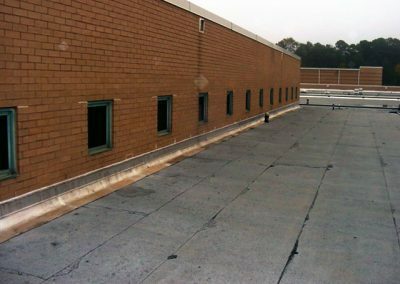 In 2016, Merit Construction removed three 4-foot sections of brick (three courses high) from the radius wall of the gym to reveal the through wall flashing. The locations of this demolition corresponded with active leaks or areas with a repetitive leak history. Two of the openings were made at brick control joints and the third at a midpoint between two control joints. The investigation focused on why the through wall flashings were not allowing water to exit the wall cavity. The causes for water getting into the wall cavity were not considered in this investigation. Based on observations made and the leak history associated with this area, the mastic at the laps has failed. This was likely allowing water in the cavity to penetrate the laps at several locations along the wall. 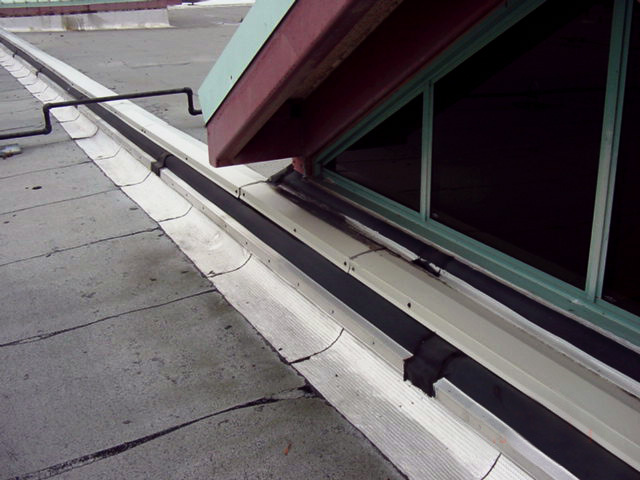 Raymond Engineering recommended that the through-wall flashing laps be either repaired, or water be prevented from entering the cavity using a coating or water repellent. 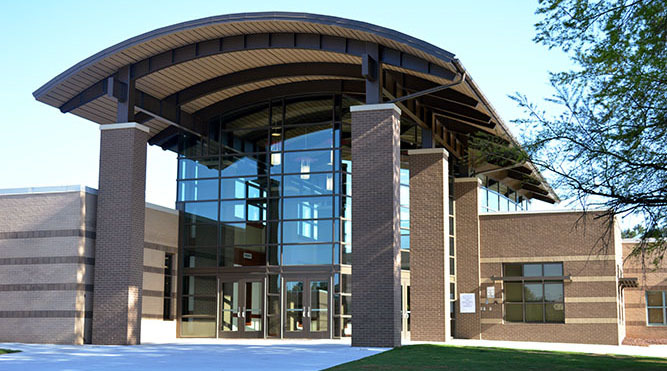 Creekside High School is in the process of establishing a budget to repair leaks. Construction has not yet been performed.